My Dad is a keen golfer and plays a couple of times per week. 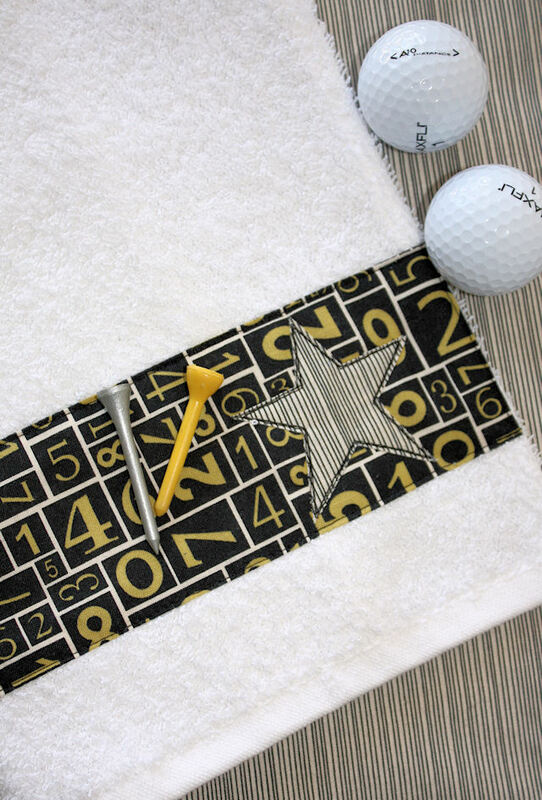 Golf accessories are always a great gift idea for him – as we know they will be put to good use! If you are looking for a gift idea for your Dad for Father’s Day, this is a fun project idea. There are a great range of fabric prints suitable for men available now. I used prints from the Authentic range by Sweetwater. 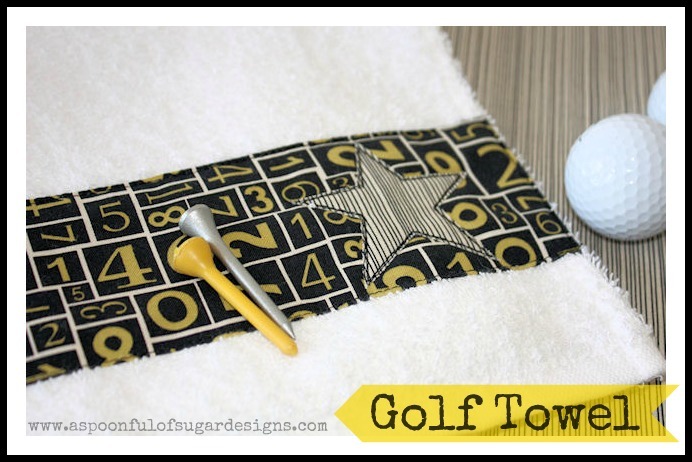 This handy golf towel is the perfect gift for the dad who loves his Golf! It can easily attach to the golf buggy with the eyelet and carabiner hook, so that it is always close to hand. 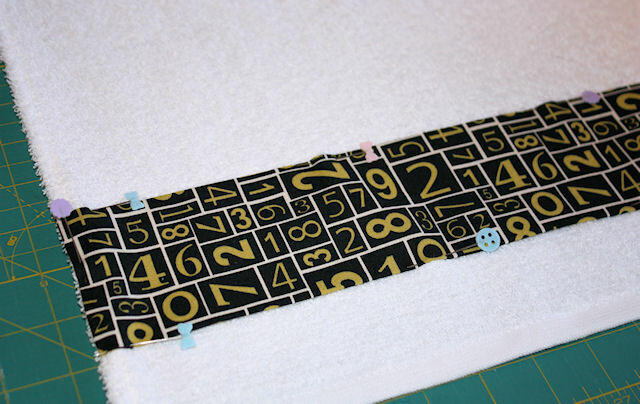 Press under ½ inch on the top and bottom of the fabric strip. Press under ½ inch on each end. Position the fabric strip so that it is 2 inch from the bottom edge of the towel and stitch in place. Trace a 2 ½ inch star onto the paper side of the appliqué film. Cut around the appliqué film leaving a ½ inch clearance. 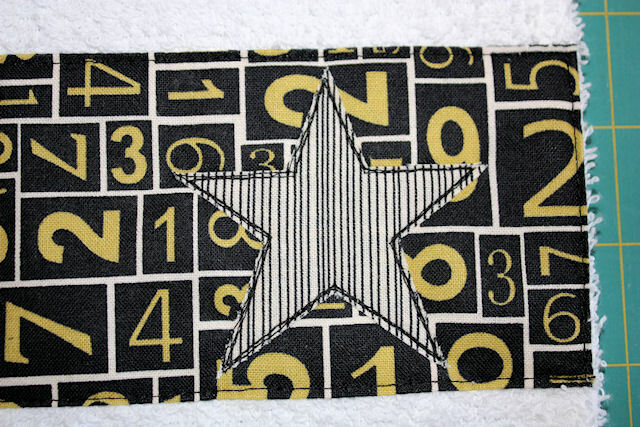 Press onto the wrong side of the fabric scrap, and cut out the star shape. Peel off the paper backing. Press the star onto the right hand side of the fabric strip. Stitch around the star shape three times to secure. Try not to sew on the exact same line so that it looks a little sketchy. 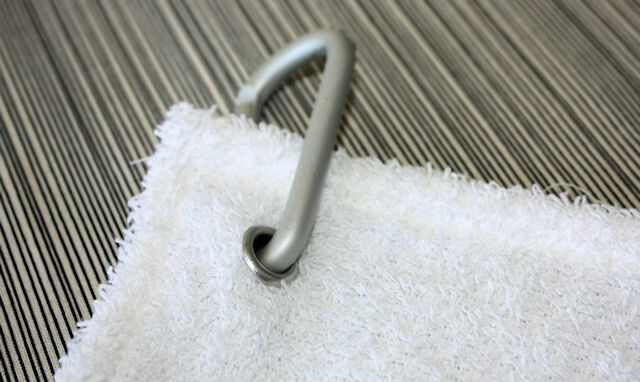 On the top left hand corner of the towel, insert the eyelet following the manufacturer’s directions. Thread a carabiner hook (available from camping stores) through the eyelet. The golf towel is now ready to be attached to a golf buggy. 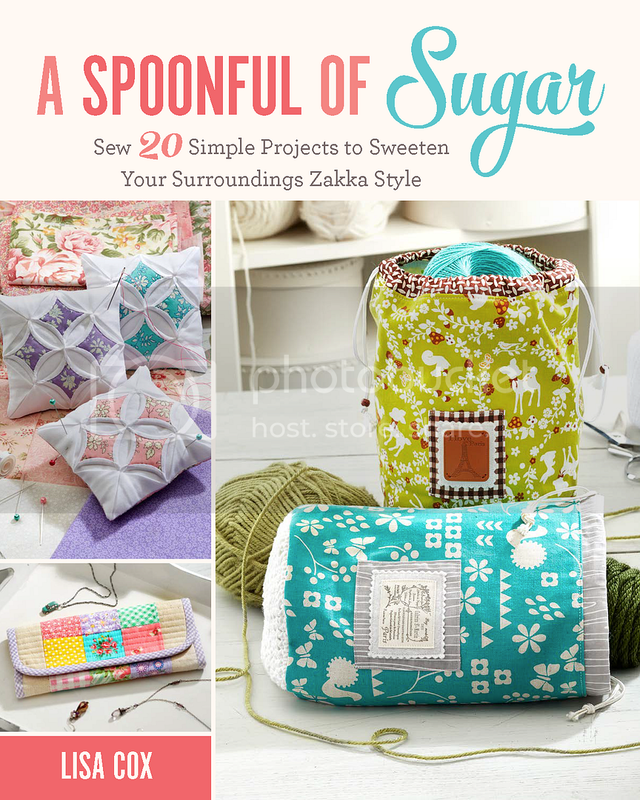 This project was originally published at Quilt Fabric Delights. You can see the guest post here. What a great idea for golf lovers! Thank you so much for this post. I want to let you know that I posted a link to your blog in Creative Busy Bee Craft Inspirations, under the Page 5 post on Aug. 13, 2012. Thanks again.